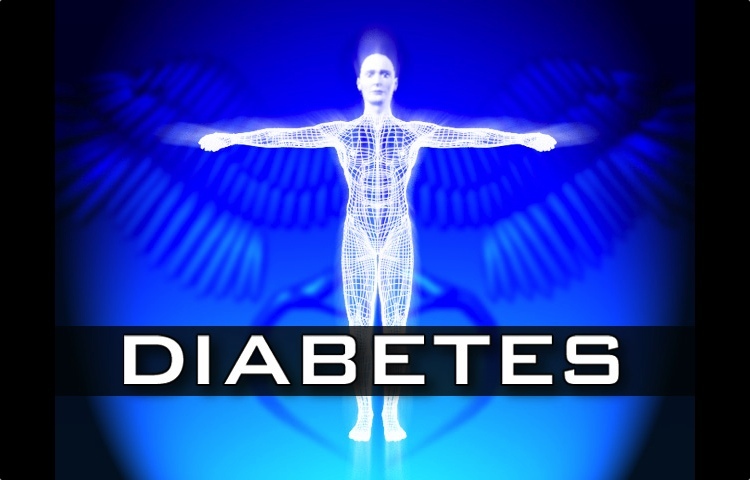 Impact of Diabetes on the onset and prevalence of Periodontal Disease. Diabetes as a risk factor for periodontitis has been debated for decades (Genco & Löe 1993), but several biologically mechanisms by which the disease may contribute to impaired periodontal conditions have been identified (Lalla et al. 2000; Mealey & Oates 2006). A number of case–control and prospective cohort studies examine the periodontal status of patients with diabetes (Hugoson et al. 1989; Shlossman et al. 1990; Emrich et al. 1991; de Pommereau et al. 1992; Oliver & Tervonen 1993; Thorstensson & Hugoson 1993; Pinson et al. 1995). This association is especially pronounced in subjects with poor metabolic control and a long duration of the disease (Taylor et al. 1996; Grossi & Genco 1998; Taylor et al. 1998; Lalla et al. 2004). The age of onset of diabetes-related manifestations in the periodontal tissues has also been addressed in studies examining children and adolescents with type 1 diabetes (de Pommereau et al. 1992; Pinson et al. 1995) and both type 1 and type 2 diabetes (Lalla et al. 2006). All three studies documented more pronounced gingival inflammation in subjects with diabetes in ages between 6 and 18 years. The case–control study by Lalla et al. (2006) further reported that attachment loss was more pronounced in young patients with diabetes after adjustment for age, gender, ethnicity, gingival bleeding, and frequency of dental visits. In a subsequent publication, Lalla et al. (2007) reported data on 350 children with either type 1 or type 2 diabetes and found a strong positive association between mean HbA1c levels over the 2 years preceding the dental examination and periodontitis. Finally, in a report including a total of 700 children, 350 with diabetes and 350 non-diabetic controls, Lalla et al. (2007) documented a statistically increased periodontal destruction in children with diabetes across all disease definitions tested and in both age subgroups of 6–11 and 12–18 years. Several studies suggest a two-way relationship between diabetes and periodontitis, with more severe periodontal tissue destruction in people with diabetes but also a poorer metabolic control of diabetes in subjects with periodontitis (Lalla et al. 2000; Soskolne & Klinger 2001; Taylor 2001). Irrespective of the variability in the case definition employed in these studies, subjects with diabetes have higher prevalence, extent, and severity of periodontal disease (Grossi et al. 1994; Bridges et al. 1996; Firatli 1997; Tervonen & Karjalainen 1997; Taylor et al. 1998; Lalla et al. 2004). These observations are consistent for both type 1 and type 2 diabetes. In addition, these studies provide evidence of a dose–response relationship between poor metabolic control and the severity as well as the progression of periodontitis (Seppälä et al. 1993; Tervonen & Oliver 1993; Tervonen & Karjalainen 1997; Taylor et al. 1998; Guzman et al. 2003). Further expanding this observed dose–response relationship into the pre-diabetic state, a recent study also indicated that the level of glucose intolerance in non-diabetic individuals also correlated with the severity of periodontal disease (Saito et al. 2004). In line with the above observations, the outcome of periodontal treatment in well controlled diabetic patients is similar to that of non-diabetic subjects, while poorly controlled diabetics display an inferior outcome (Tervonen & Karjalainen 1997). Collectively, the above data strongly indicate that diabetes mellitus is a major risk factor for periodontitis. Any differences in periodontal health between type 1 and type 2 DM patients may relate to differences in management of glycemic control, age, duration of disease, utilization of dental care, periodontal disease susceptibility, and habits such as smoking. Type 1 DM patients have an increased risk of developing periodontal disease with age, and with the severity and duration of their diabetes. To measure blood glucose level in a patient, three different tests are available, the fasting venous blood glucose (max 126 mg/dL), the two-hour postprandial glucose (max 200 mg/dL) and the glycohemoglobin. The glucose tolerance test is no longer the standard for diagnosing diabetes mellitus. This test is used to identify patients with impaired glucose absorption and gestational diabetes. Special tests may be performed to measure the release of insulin at various intravenous (IV) glucose infusion levels. However, these are basically used to detect special problems and are not part of the routine testing undertaken to diagnose diabetes mellitus. The extent of glycosylation of hemoglobin A (a nonenzymatic addition of glucose) that results in formation of HbA1c in red blood cells is used for general assessment of the long-term level (and control) of hyperglycemia in patients with diabetes. Measurement of HbA1c levels is of value in the detection and evaluation of patients. HbA1c is an electrophoretically fast-moving hemoglobin component found in normal persons; it increases in the presence of hyperglycemia and may reflect glucose levels in the blood over the 6 to 12 weeks preceding administration of the test. Normally, patients should have 6% to 8% HbA1c. In well-controlled diabetes cases, the level should stay below 7%. The level of hyperglycemia as indicated by the HbA1c may reach as high as 20% in some uncontrolled cases. Patients do not have to fast before they undergo testing, which can be useful in monitoring the progress of the disease. It is now standard practice to measure HbA1c levels at least quarterly in patients who are taking insulin for diabetes mellitus. Complications from diabetes are accelerated in individuals with elevated HbA1c. Therefore, this monitoring is particularly important for those patients who are not monitoring their blood glucose at home on a regular basis. To reduce incidence of intra-operative complications with diabetic patients, the periodontist should ask how much insulin they use and how often they inject themselves each day. They should also be asked whether they monitor their own blood glucose, by which method, how often, and the value of the most recent level. The frequency of insulin reactions and when the last one occurred should be determined. The frequency of visits to the physician should be established, as should the timing and results of the last HbA1c test. Whether the patient checks his or her blood for glucose should be determined. Patients with type 2 diabetes who have no evidence of complications and whose disease is under good medical control, as determined by consultation with the patient’s physician, require little or no special attention when receiving dental treatment, unless they develop a significant dental or oral infection that is possibly accompanied by swelling or fever. By contrast, patients with complications such as renal disease or cardiovascular disease may need to be managed in special ways. Those who are treated with insulin or who are not under good medical management also require special attention (this typically involves consultation with the patient’s physician). A major goal in the dental management of patients with diabetes who are being treated with insulin is to prevent insulin shock during the dental appointment. Patients should be told to take their usual insulin dosage and to eat normal meals before their dental appointment, which is usually best scheduled in the morning. When such a patient comes for the appointment, the dentist should confirm that the patient has taken insulin and has eaten breakfast. In addition, patients should be instructed to tell the dentist whether at any time during the appointment, they feel symptoms of an insulin reaction. A source of sugar such as orange juice, cake icing, soda, or liquid glucose must be available in the dental office to be given to the patient if symptoms of an insulin reaction occur. Any patient with diabetes who is going to undergo extensive periodontal or oral surgery procedures other than single simple extractions should be given special dietary instructions after surgery. It is important that the total caloric content and the protein/carbohydrate/fat ratio of the diet remain the same so that control of the disease and proper blood glucose balance are maintained. Any patient with diabetes and an acute dental or oral infection presents a significant management problem. This problem will be even more difficult for patients who take a high insulin dosage and for those who have type 1 diabetes. Infection often leads to loss of control over the diabetic condition; as a result, infection is not handled by the body’s defenses as well as it would be in the normal patient. The patient’s physician should be consulted and should become a partner during this period. Poorly controlled diabetic subjects may complain of diminished salivary flow and burning mouth or tongue. Diabetic subjects on oral hypoglycemic agents may suffer from xerostomia. There is good evidence to support the concept that there is an association between poorly controlled diabetes mellitus and periodontitis. Periodontal attachment loss has been found to occur more frequently in moderate and poorly controlled diabetic patients, of both type 1 and type 2 DM, than in those under good control. In addition, diabetics with more advanced systemic complications present with a greater frequency and severity of periodontal disease. There is evidence to support the hypothesis that adequate control of severe inflammatory periodontal disease could alleviate symptoms of co-existing systemic diseases in susceptible individuals. In a population of Pima Indians with type 2 DM and severe periodontal disease, the risk of cardiorenal mortality and diabetic nephropathy was three times greater than amongst those with mild or moderate disease. Probably the most classic description of the undiagnosed or poorly controlled diabetic is the patient presenting with multiple periodontal abscesses, leading to rapid destruction of periodontal support (Harrison 1983, Ueta 1993). This blog is totally super I get lot of information through gum disease and how to keep our teeth and gums healthy thank you. Thanks for the information! 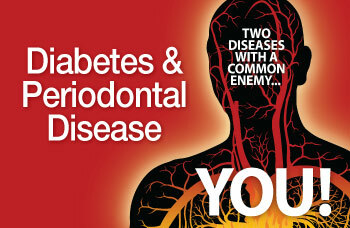 It’s interesting how diabetes contributes to periodontal disease. I didn’t know that children and adolescents ages 6-18 years with type 1 diabetes struggle with periodontal issues. It’s really surprising how someone’s physical health can also dramatically affect oral health.